Activision Blizzard has confirmed today the reports from last week that the company is restructuring some aspects of their business to focus on increasing profits after a rough 2018. During the earnings call, the company stated that they would be losing 8% of its staff as part of the restructuring. Activision Blizzard has 9,800 employees, which means 800 employees will be laid off. 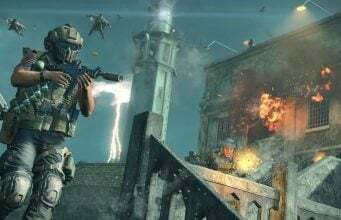 The company has seen increased pressure in the business with new free to play games, especially Fortnite, taking many player’s attention away from Activision Blizzard titles. The new free to play trend with games, like Apex Legends, continues to put pressure on Activision to change their style going forward. Yahoo Finance reported that Activision Blizzard started notifying employees of the layoffs on Monday at its headquarters. In a press release ahead of the company’s 2018 financial call, Activision Blizzard confirmed they plan to increase their development powerhouse to increase the output of content games going forward. With that, the company plans to layoff some of the non-development employees at the company. In 2019, the company will increase development investment in its biggest franchises, enabling teams to accelerate the pace and quality of content for their communities and supporting a number of new product initiatives. The number of developers working on Call of Duty, CandyCrush, Overwatch, Warcraft®, Hearthstone and Diablo® in aggregate will increase approximately 20% over the course of 2019. The company will fund this greater investment by de-prioritizing initiatives that are not meeting expectations and reducing certain non-development and administrative-related costs across the business. The company is also integrating its global and regional sales and go-to-market, partnerships, and sponsorships capabilities. As part of these restructuring actions, the company expects to incur a GAAP-only pre-tax charge of approximately $150 million, the majority of which is expected to be incurred this year. Kotaku also confirmed the news, stating that Blizzard plans to layoff non-development based employees in the U.S because of the small slate of game releases. Kotaku obtained a note from Blizzard’s President. The layoffs are occurring at Activision, Blizzard, and King.